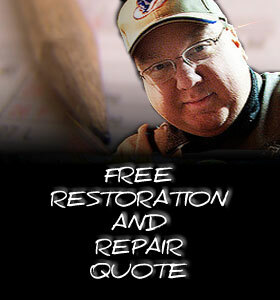 Midwest Pinball Restoration is Chicago’s premier source for Pinball Machine restoration, repair, and sales. At Midwest Pinball you’ll find a helpful, knowledgeable and friendly staff willing to help you with all of your pinball machine needs. At Midwest Pinball we take pinball machine restoration seriously. We can help you bring back that old worn out game in your basement to it’s original luster. We specialize in restoring, refurbishing and repairing all types of pinball machines. We service electro-mechanical and solid state titles. We also work on brand new games. We can brighten up games by installing new LED bulbs and displays. Midwest Pinball supports customers throughout the greater Chicago, Illinois area, including the suburbs. We cover Southern Wisconsin and Northwest Indiana. We also schedule monthly trips to Peoria, IL for service. We are centrally located in Oak Park, which puts most locations within an hour of our workshop. In most cases, we complete the work onsite. Midwest Pinball has one of the best selections of unique restored pinball machines for sale that Chicago can offer. Just check out our sales page and contact us if you see something you’re interested in. We have something for all of your Illinois pinball needs. Midwest Pinball creates custom pinball machines for marketing and promotional purposes. To speed up development, we use an existing game as the basis for a brand new title. We create branded cabinets and playfields with customer approved artwork. We also develop new components to fit the customer’s needs. And finally we deliver a stable, fully-functional machine for use at promotional events, trade shows, and corporate offices.